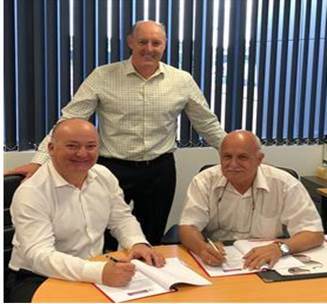 Air Niugini Cargo Limited (ANCL) , a subsidiary of Air Niugini Limited has appointed ACP Worldwide, a global airline management company as the exclusive cargo General Sales Agent (GSA) for Air Niugini Cargo throughout Australia. ANCL’s General Manager, Mr Gus Kraus said the agreement has been in the making for several months with all parameters of a “new found business partnership” having to be considered but in general, it’s a straight forward Cargo Agency appointment that paves the way for a more concerted effort in developing ANG’s cargo business. Air Niugini operates daily wide-body and narrow body services providing a vital freight link between Australia and Papua New Guinea, especially the palletised services to and from Brisbane. Daily flights to Cairns are operated by Fokker aircraft and Sydney sees a mix of wide-body and narrow body operations. Additionally, ACP’s coverage will include capabilities covering all other major gateways throughout Australia. Beyond Port Moresby, Air Niugini operates international services to Hong Kong, Singapore, Manila(Philippines), Denpasar (Indonesia), Narita(Japan) and throughout the Federated States of Micronesia – FSM & the South Pacific including Honiara (Solomon Islands), Port Vila( Vanuatu) and Nadi(Fiji) as well as domestic services throughout Papua New Guinea. ACP’s QLD Sales Manager Dave Harris said they are very excited to be representing Air Niugini Cargo Limited and look forward to maintaining the partnership now and into the future. ACP Worldwide Director, Australia & New Zealand, Mr Ross Di Lizio said “Air Niugini Cargo have been a major part of the airfreight landscape in Australia for many years and they are more than happy to work with Air Niugini Cargo.